You are here: Home / Everyday Posts / #KindnessSafari Today! If you missed my last post about KIND’s #KindnessSafari… you can find it here! Zoos across the country are hosting a family event sponsored by KIND Snacks and zulily! Can’t attend? You can still play along! Just complete each item on the #KindnessSafari list by posting a photo on Instagram or Twitter! 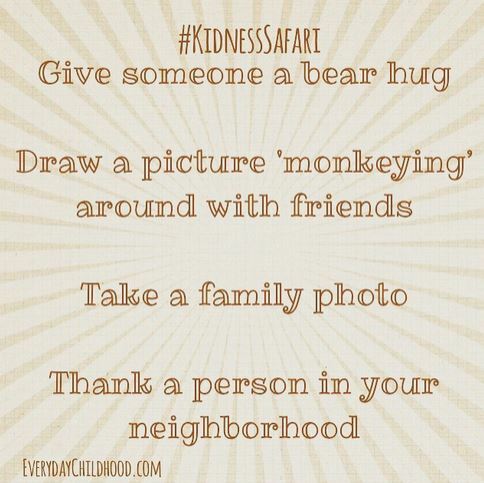 Be sure to use the hashtag #KindnessSafari so I can find your entries! Entries will be accepted through midnight Sunday 5/17/15 and a winner announced on the #KindnessSafari on Monday 5/18/15. Two days is plenty of time to complete the 4 tasks! Entrants who complete all 4 tasks will be entered to win a case of 72 KIND snack bars! So… what are you waiting for! Get out there and be KIND! *Note- this is not a paid ad.